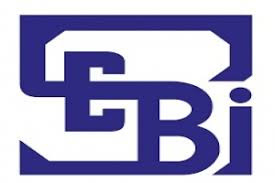 Home / Banking / SEBI Approves a Rs 10,000 Crore "Airport Fund"
SEBI Approves a Rs 10,000 Crore "Airport Fund"
SEBI (Securities and Exchange Board of India) approved an "Airport" specific fund of Rs 10,000 crore. The name of the fund is 'Taking Off To the Future Airport Fund'. It can raise a capital amounting to $1.5 bn (Rs. 10,000 crores). The 'Sponsor and Investment Manager' of the fund is based in Chennai and is termed as 'Taking Off To The Future Investment Management LLP'. Gigi George leads the management and operation of 'Sponsor and Investment Manager'. A minimum capital contribution of Rs. 3500 crore and a maximum of Rs. 7000 crore is targeted by the fund. The regulator for the securities market in India is the Securities and Exchange Board of India(SEBI)(established in 1988). On 12th May 1992, it became an autonomous body by the Government of India. Through the SEBI Act, 1992, SEBI was given statutory powers on 30 January 1992. Q. SEBI (Securities and Exchange Board of India) in a first of its kind move approved which specific fund of Rs 10,000 crore?